The product is overall well built. The screen resolution and the camera quality could have been much better. 15.6 inch display with 1366*768 pixels provide wonderful experience but the batter backup ruines the enjoyment.but still loved it . A good sturdy gaming and other purpose laptop (without backlit) but try to find other options if you want to buy a pure gaming laptop otherwise its a good option. Good configuration for the price. With heavy gaming too backup is considerably good. Screen quality is not impressive. The Dell Inspiron 5558 Laptop features bright and colourful 15.6-inch HD LED backlit display, Intel Core i5 5200U processor, 4 GB RAM, 1 TB hard disk capacity and runs on Windows 8.1 operating system. - 8 GB RAM with latest processor. Lots of bloatware installed from dell. 7 Pricebaba users have written their experience with Dell Inspiron 5558 (i5 5th Gen/8GB/1TB/Win 8.1/2GB GFX). If you own Dell Inspiron 5558 (i5 5th Gen/8GB/1TB/Win 8.1/2GB GFX), please do leave your feedback too. The laptop has 15.6 inch HD display with a resolution of 1366x768 pixels. While the Inspiron 5558 has a lot of processor option, this one is powered by an Intel Core i5 (5th Gen) processor clocked at 2.2GHz with Turbo Boost Technology up to 2.7GHz. There is 8GB of RAM which can be expanded up to 16GB via the two memory slots. In terms of storage, the laptop comes with various storage options but the model here has 1TB HDD. This laptop has 2GB DDR3 NVIDIA GeForce 920M dedicated graphics onboard which sounds great for heavy gaming. There are 2 USB 2.0 and 1 USB 3.0 slot, 1 HDMI port, an ethernet port and the laptop supports SD card and DVD as well. The laptop runs on Windows 8.1 OS out of the box and should receive Windows 10 update. Based on this specification, Dell claims up to 4 hours of battery life on this laptop. 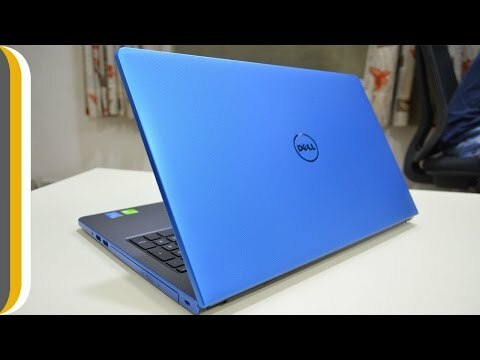 Dell Inspiron 5558 weighs around 2.24 kgs and is available in Blue colour.